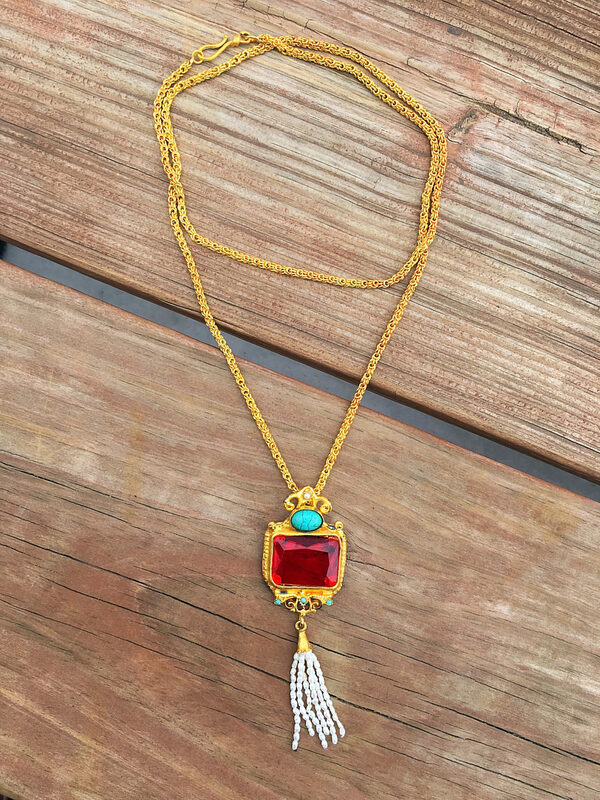 Gypsy jewelry is designed taking a modern approach on historic jewelry styles. The Virago Jewel Necklace, a bold and captivating piece, was actually inspired by a famous painting done by Raphael in the year 1505. Raphael was a famous painter working in Italy in the years 1500-1520. He painted multiple pieces for the Vatican, and was later hired by Pope Julius II as an architect. Living and painting in Italy, he was heavily influenced by other Italian painters, including Fra Bartolommeo, Leonardo da Vinci, Michelangelo and Masaccio. His painting, Portrait of a Lady With a Unicorn, is now in the Borghese Gallery in Rome. It is thought to be heavily inspired by Leonardo da Vinci’s Mona Lisa, as it shows a woman sitting in a similar pose, in front of a large landscape and with a similar compositional framework. 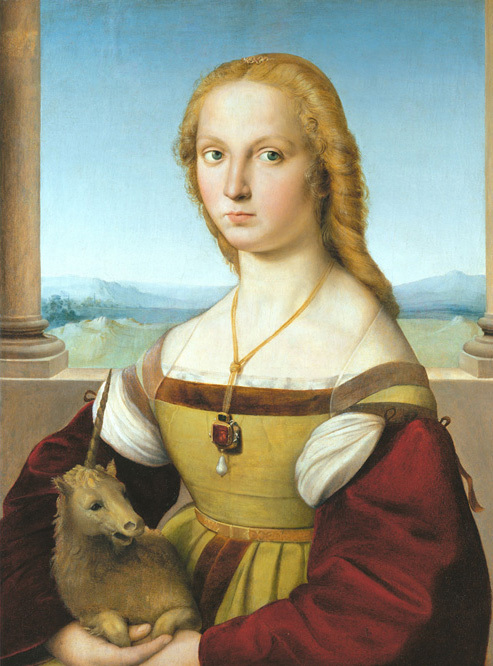 Portrait of the Lady With the Unicorn, Jewels of the Renaissance by Yvonne Hackenbroch. Even more than the history of the painting itself, we were heavily drawn to the woman’s necklace. An elegant chain, with a bold pendant and pearl hanging from the bottom, it catches the eye as a sure focal point of this piece. We took a photo of this painting to our skilled artisans in Istanbul, who used it to fuel their artistic process and create an inspired piece that we are now reintroducing into modern fashion. 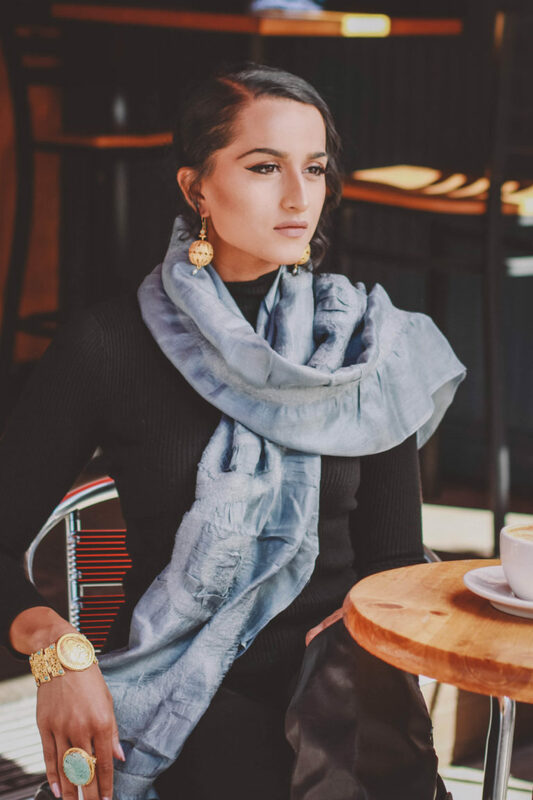 A piece so full of history, artistry, and meaning, is perfect for the woman who uses her distinct style to express herself, to show her unique beauty, and to stand out amongst the crowd. A uniquely beautiful piece itself, the Virago Jewel Necklace is one of our favorite adaptations of a historic style.